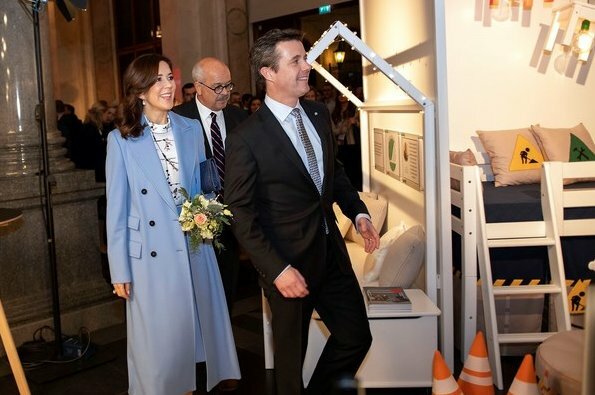 On the second day of their visit to Latvia, Crown Prince Frederik and Crown Princess Mary of Denmark visited Art Museum Riga. 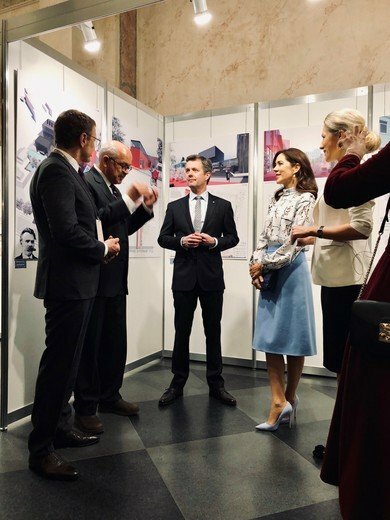 The Crown Prince Couple presided over the presentation of architectural drawings for “Tabakas fabrika” at Art Museum Riga. 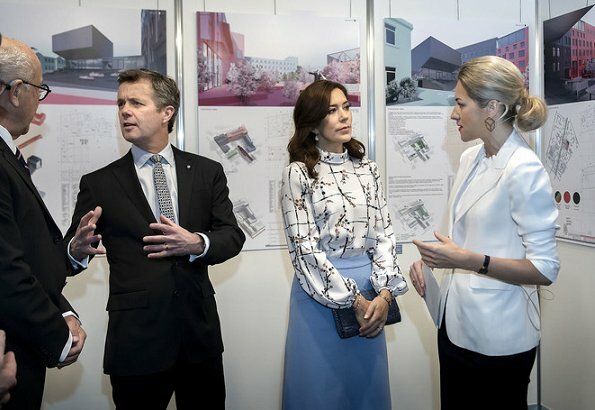 The drawings are the culmination of an architectural competition which is Denmark’s special contribution to the 100th anniversary celebration. 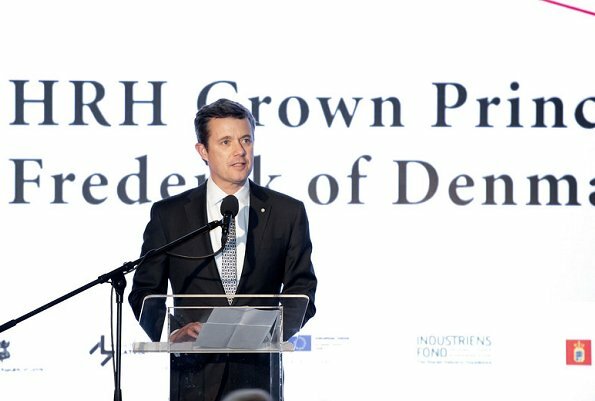 Then, the Crown Prince Couple attended the opening of a conference on creative industries at Art Museum Riga. The conference is organized by the Danish cultural institute, the Danish embassy in Latvia, LIIA and the Latvian cultural ministry. The conference aims to further develop Danish creative industries via cooperation with Latvian partners. 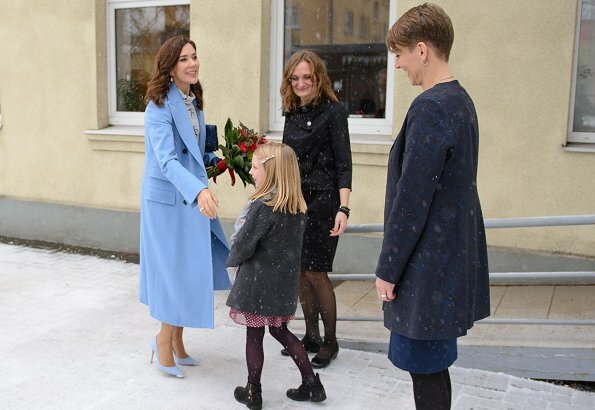 Afterwards, the Crown Princess visited the NGO Center Dardedze which works for childhood without abuse. That center helps children who have been victims of abuse and generates attention to the protection of children’s rights. 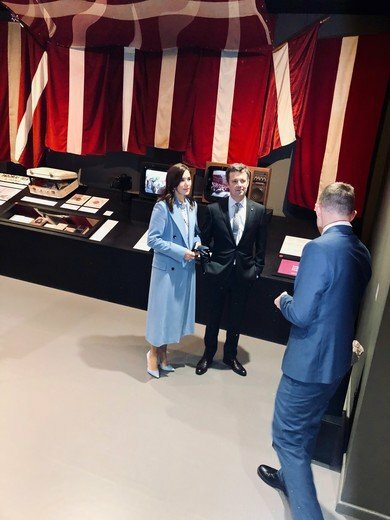 Then, the Crown Prince Couple and the Danish culture minister visited the exhibition “A Century of Latvia” at the National History Museum. 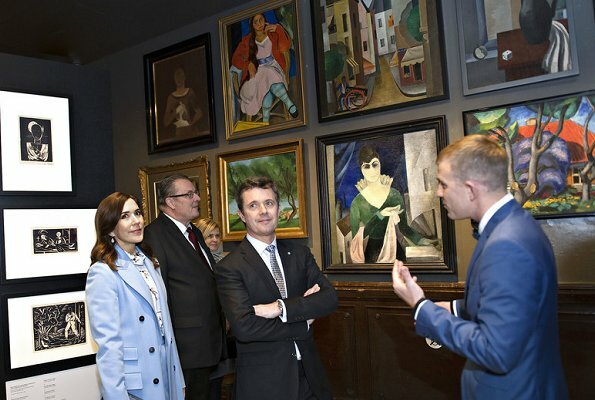 The exhibition displays Latvia’s 100 years of independence with biographies, portraits from the period, 1500 unique objects, photos, sound recordings, film and video. Mary looks sooooooooooooo fantastic! Unbelievable how she was able walking with that shoes on snow! .... she probably had only a few steps to do. A very lovely look for Mary . She always dresses so well. Wow, just wow!! The only thing I am not crazy about is the blouse once the coat is removed, but just peeking a little is a fantastic look. She looks like a Christmas portrait, in a good way. Mary looks elegant … though I'm not a fan of her "old woman style blouse"! Mary herself looks different, more natural now she doesn't use filler in the lips! did she mention that to you? 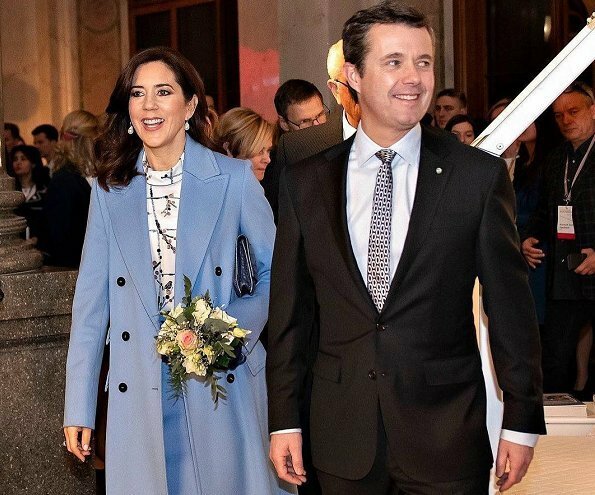 Mary looks lovely here - I like the pale blue very much. Stunning princess; always in tune. Prince as well. Snowing! Very nice combination. But high heels and snow not so much. Another great look. Mary's outfits on this tour have been fantastic. Respect for those heels in the snow even if it was only for a few steps!